The Kerala Judiciary is once again in headlines for the rare humanitarian gesture of Sri S.Manohar Kini, Judge, Motor Accidents Claims Tribunal, Palakkad. During February 2015, a young Munsiff, Sri Aravind V.Adiyodi hit the headlines through his gesture of clearing the debt of a poor bedridden man with Canara Bank in a Lok Adalat organized at Vadakara. Sundaran, a resident of Vakkeelparamb at Puthupariyaram in Palakkad lost his seven year old son in an accident on 10th May, 1993. A claim for compensation was preferred before the MACT, Palakkad which passed an Order after four years directing the Insurance Company to pay a compensation of Rs.98,700/-. The Insurance Company handed over Rs.20,000/- directly and Rs.90,308/- was deposited in a Nationalised Bank through the MACT. Due to a clerical mistake, the amount was deposited in the OP Number of another person, Radhakrishnan. 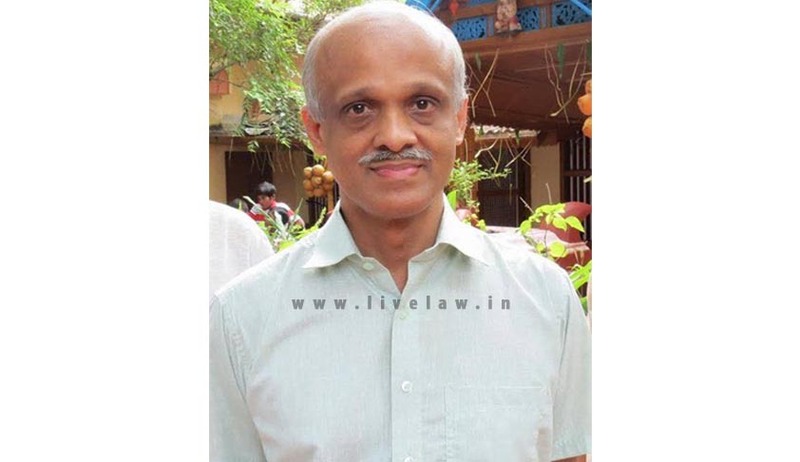 Radhakrishnan withdrew the whole amount in three instalments with the assistance of three lawyers. Without knowing this, Sundaran moved the MACT against the Insurance Company claiming the amount and the legal battle lasted for several years. At last he approached the High Court seeking a remedy for his grievance. An inquiry by the Tribunal revealed that the documents related to the said disbursal of amount to Radhakrishnan, including the Cheque Register were lost. The Judge asked the Bar Council to initiate proceedings against the three lawyers who assisted Radhakrishnan to obtain the amount through proceedings at MACT. Meanwhile Radhakrishnan died in a road accident. In another proceeding, the MACT had passed an award in favour of the wife of Radhakrishnan directing payment of compensation of Rs.88,868/-. Sundaran moved a petition to allow him to recover the amount awarded to the wife of Radhakrishnan. The Tribunal dismissed it as it is impossible under law. Since deceased Radhakrishnan had no personal assets in his name, the Tribunal was unable to sieze it and recover the amount. The Tribunal came to a conclusion that there exists no legal means for Sundaran to recover the amount from deceased Radhakrishnan. It is at this stage, Judge Sri S.Manohar Kini assumed office as MACT, Palakkad. Normally, the pain of a father who lost his seven year old son and the 22 year old legal battle and hardships he faced to get the compensation amount would hardly touch any Judge’s heart. Though Judge Sri S.Manohar Kini was never part of the legal battle involved here, the history of the case and the pathetic situation of Sundaran made him to exhibit a rare humanitarian gesture through a special Order paying Rupees One Lakh to Sundaran from his own pocket. This unexpected gesture of the Judge put an end to the prolonged sufferings experienced by Sundaran and his family.